You can find this extravagant building that dates back to 1897 in the old section of Kuala Lumpur. It takes its name from Sultan Abdul Samad, the Sultan of Selangor, who was in power at the time of its construction. It is notable for its Moorish appearance, with arched windows, copper domes, and an imposing clock tower 41 metres high. The building is located opposite the most important square in the city: Merdeka Square is the heart of KL. This is where people gather to celebrate the new year. 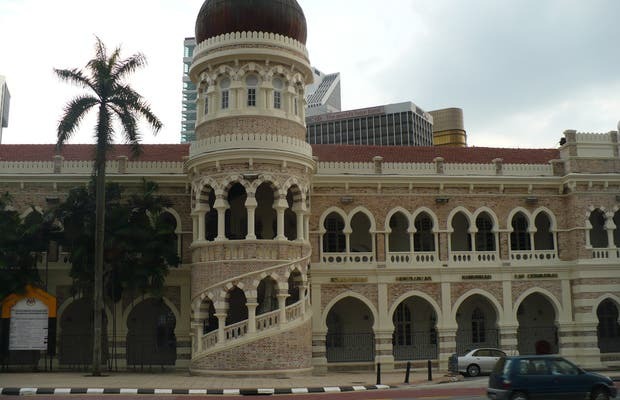 The Sultan Abdul Samad Building is reached by a 10-minute walk from Masjid Jamek LRT Station.